Tuvalu is a sovereign nation of approximately 11,000 people located in the South Pacific. It is made up of nine low-lying reef islands and atolls near the equator between Hawaii and Australia, near the International Date Line (GMT +12 hours). A member of the British Commonwealth, Tuvalu was formerly part of the Gilbert and Ellice Islands colony from 1916 until 1976 when Tuvalu and Kiribati became separate countries. 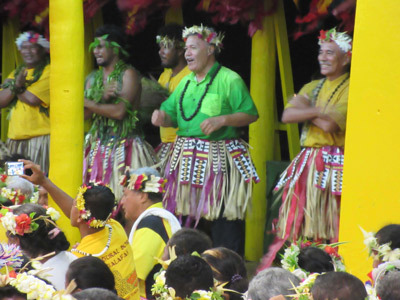 Tuvalu and Kiribati maintain close relations today. 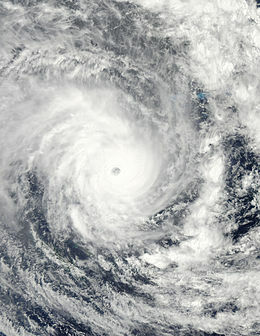 In recent years the frequency and severity of high tides and cyclones has caused Tuvalu to become vulnerable to flooding, extensive damage and loss of infrastructure from natural disasters. 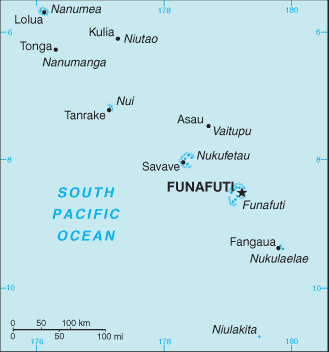 Tuvalu is the 4th smallest country in the world at only 26 square kilometers. Only Nauru, Monaco, and Vatican City are smaller. Tuvalu is the least visited country in the world. Only 1200 tourists visit the country each year. 2 small planes visit the island each week. With a population of around 11,000 people, Tuvalu is one of the least populated countries in the world. With only 8km of roads, Tuvalu has the shortest road network of any country in the world. When Cyclone Pam hit Tuvalu in March 2015 it took almost a week for communications to be restored. The outer atolls were especially affected. It is our desire to assist the Tuvalu Government and the Tuvalu Red Cross Society in establishing HF communication links between the islands and with the outside world, while advancing the opportunities for amateur radio operators in Tuvalu to make QSOs from this sought-after DXCC entity. Recent T2 activations have resulted in the donation of transceivers and antennas for the three licensed operators now on Funafuti: T2TK, T2AM and T2TP. Our plans include training these three along with others who are interested in getting on the air, as we assist them in forming Tuvalu’s first amateur radio club. We have secured the call T2R for this purpose and our DXpedition hopes to put many thousands QSOs in the log to kick things off.